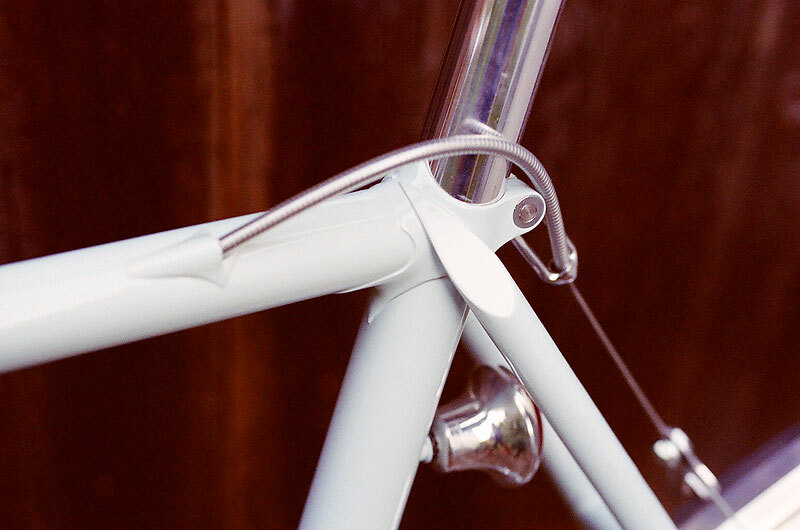 For such a discrete and small part of a bicycle frame, there's a lot going on here - the internal cable routing not being pushed through a dimple, but running into a tapered housing; the thinned and elegant arc of the seat lug; the way the seat stays curve up and almost join; the way the seat post binder bolt fits flush when tightened. There's nothing particularly "showy" about that work - but it pulls things together with a certain confidence of style, patience in approach and just enough flair that you know someone thought pretty deeply about it before even beginning. The kind of bit that you just find yourself considering years after you've owned the bicycle. And smiling about. synonymity is common among people who love cycling and bicycles.